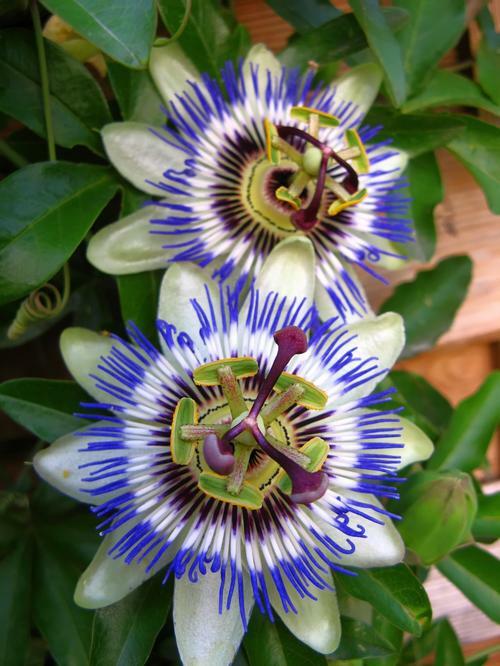 Grown for its exotic blue and white flowers, excellent patio plant, grows to 12'. Very fast growing with exotic-looking flowers. Good for patio containers.